This jack of all trades can be used in an endless number of different ways. 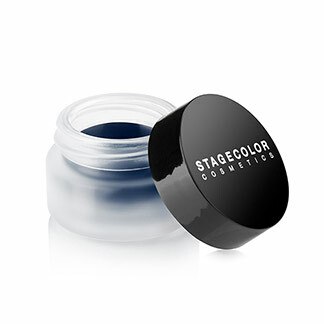 GEL EYELINER can create any finish and help you achieve an extremely wide range of looks! The GEL EYELINER is a multi-talent. This jack of all trades can be used in an endless number of different ways. GEL EYELINER can create any finish and help you achieve an extremely wide range of looks! Dip the brush into the jar to pick up a little color. Start at the outer corners of your eyes. Your brush will have the most color on it in the beginning, so this will automatically make the liner a little thick at the outer corners of the eyes. Draw the line to the inner corner of the eye in one movement or lift the brush and begin the line again several times. To make corrections or achieve a “swallowtail” look, dip your brush into the jar again to gather a little new color. For a soft finish or for smoky eyes, always smudge or blend GEL EYELINER with the brush or with your fingertips immediately after applying. In order to prevent skin from shining through between the edge of the lashes and the eyeliner, use the brush to dab a little GEL EYELINER between the lashes. Use a good, sturdy eyeliner brush (e.g. EYELINER BRUSH item no. 63277) to apply. An angled EYEBROW BRUSH (e.g. item no. 63278) is perfect for blending and shading. FINDING IT DIFFICULT TO APPLY EYELINER? 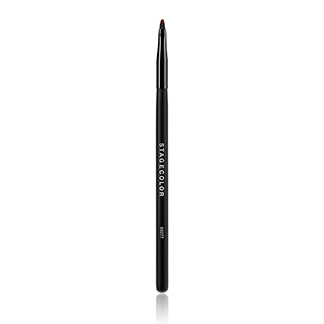 Start with kajal and then re-trace the line with GEL EYELINER. ARE YOU UNABLE TO DRAW A SINGLE LINE IN ONE MOVEMENT? Draw your line in several steps, making multiple lines that connect. SHOULD I KEEP MY EYES OPEN OR CLOSED? For ideal results, try a “slightly smug” expression, looking downward into the mirror. To do this, press your head back slightly into the nape of your neck, arch your eyebrows a little and almost close the eye you want to apply make-up to. This way your skin will stay taut and you can still see out of both eyes. Find a way to securely support your elbows. To keep the pigments from smearing and help the eyelid stay smooth, use a cotton swab and a little Face Primer to make corrections.